Happy Wars, the free-to-play fantasy brawler for Gold Subscribers to XBL, released its tenth content update last week. Unassumingly titled Title Update 10, the update introduces eight new quests and eight more achievements (adding up to another 100G). Seven of the new achievements focus on using a particular skill or building a certain weapon 50 or 100 times total. The eighth achievement requires that players choose Berserker, Engineer, and Zephyr at least once in Quick Match or Co-Op Match. 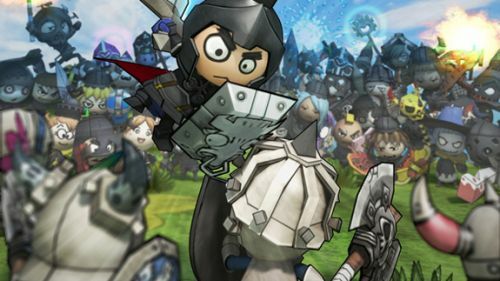 Upon launching the game, Happy Wars will automatically prompt players to download the update. So if you were looking for some more quests to do in the game, or wanted more achievements to work on, Title Update 10 has you covered. If you missed our review for Happy Wars, go and check it out if you wanted to learn more about the game. We gave it a 3.5 out of 5, finding the game addicting and fun, despite the difficulty curve in co-op, some class imbalances and matchmaking issues. Happy Wars supports up to 15 players in online co-op on XBLA.